We are so glad you found our blog. 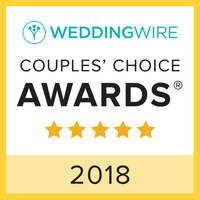 This is where we enjoy sharing our recent weddings and engagements as well as fun stories about each of the wonderful couples we have had the pleasure of getting to know. Gabriella and Lucas’s wedding day started out with pretty much the most perfect weather forecast – a warm and sunny August day. I had been chatting with Gabriella in the weeks leading up to her wedding and the moment I walked into her hotel room that morning, I sensed her excitement was genuine. Their chosen wedding date was nicely chosen – it was the exact date Lucas first asked Gabriella out 9 years earlier. Neither of them could have ever imagined, when he put his phone number in her phone at that high school party, that nine years later they would be starting a new life adventure together. Adventure has been a theme throughout Gabriella and Lucas’s love story. Their very first date was seeing the animated movie ‘Up!’, one of my most loved Pixar movies. The movie centers around a grumpy old man, Carl (voiced by Ed Asner). The movie’s foremost theme is that of compassion and coming to enjoy the adventure in life even though it may be challenging at times. It may not always be the adventure you planned, but making the best of it can be surprisingly great as well.Gabriella and Lucas consider the movie Up! to be a very special reminder of their loving relationship. Gabriella even chose to walk down the aisle to the opening music from that movie. It was during the reception that an extraordinary letter was read aloud. This letter was written to the happy couple by Ed Asner himself. In the letter he first apologized that he could not attend the wedding but was truly honored to have been invited. The letter then went on to use metaphors and wisdom from the movie Up as well as wishing all the best to the newlyweds. The day was beautiful from beginning to end and the Meson Sabika made for a stunning backdrop to celebrate a momentous day. Much love and happiness to these two and we hope life has many more new adventures ahead of you. Here are a few of our favorite moments from the wedding day. A special thanks to all the vendors who made Gabriella & Lucas’s day beautiful!